A terrific crack of thunder pierces the air as a piece of ice peels off the face of the glacier and thunders down into the frigid waters of Glacier Bay. With a mighty splash, debris and water are thrown up into the air in a fascinating display as everyone on the Alaska cruise ship looks on in awestruck silence. The word ‘epic’ doesn’t even begin to describe Alaska, the USA‘s 49th State having been admitted as a state in 1959. The incredible scale of the natural features here is simply breathtaking. Powerful glaciers bite through rock and flow down the mountain to the ocean. Their terminal face displays the fascinating size of the glacier as it hangs precariously over the water, dwarfing even the largest cruise ships. Though the landscape is exquisitely beautiful in Alaska, it is a wilderness that remains remote and untamed. Witnessing the scenic views of the Inside Passage cruise from the deck of an Alaska cruise ship perfectly combines the beauty of the landscape with comfort. 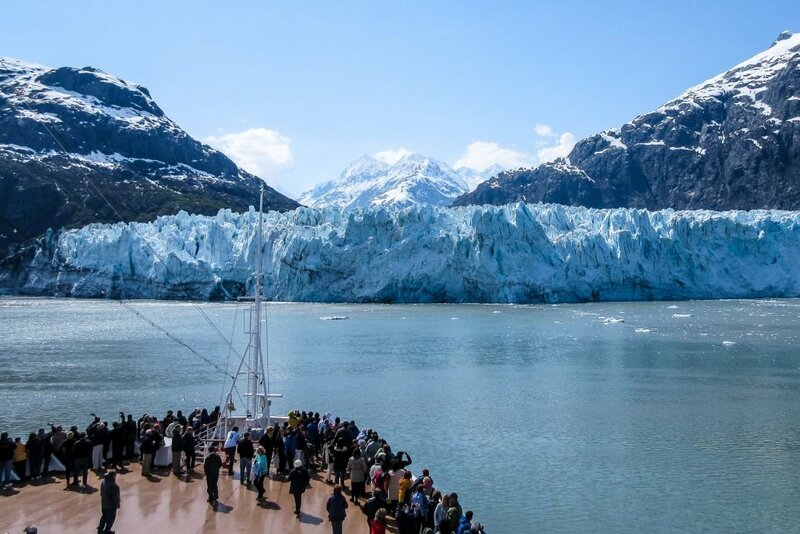 What’s more, you won’t even be confined to the ship for the entire tour, there are a number of stops which allow you to see the best of Alaska. These stops will give you a chance to stretch your legs out before you return to the world-class comfort of the ship. You’ll be sitting down to all-inclusive dining while the ship glides past towering glaciers and icebergs. This is undoubtedly the most comfortable and accessible way to enjoy Alaska. 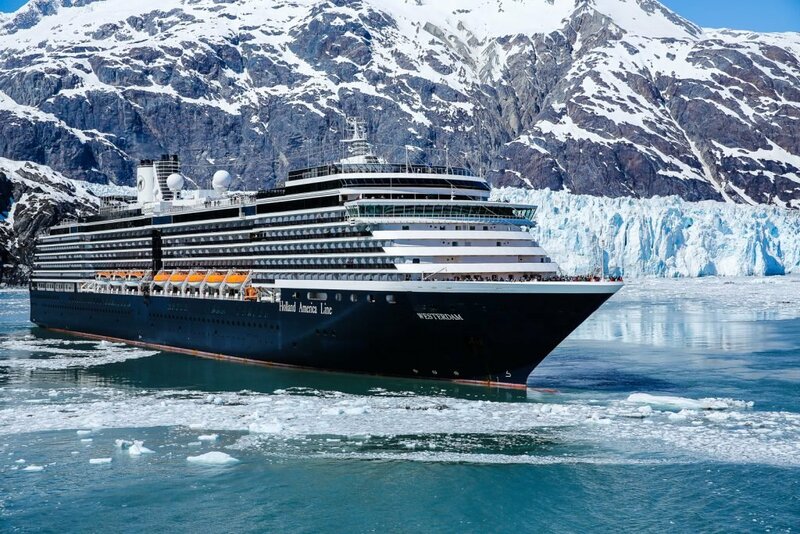 With a number of stops along the way that provide both fascinating historical tours of Alaskan towns and thrilling, scenic flights over the majestic landscape, this Vancouver to Alaska cruise is sure to make a lasting impression on anyone. To discover the beauty of Alaska, and to explore this phenomenal landscape is an incredible adventure to take part in. Join me on this amazing journey to enjoy the Inside Passage Cruise. The idea of joining a cruise is often backed by numerous conceptions of what to expect, some good, and some not so good. The convenience combined with the marvellous beauty of the landscape provides the perfect blend of beauty and comfort. However, an Inside Passage cruise will appeal to every age group. While many cruises can be uninspiring, the Vancouver to Alaska cruise provides an experience like no other. A cruise ship is essentially a floating resort. When your accommodation is also your transport, you’ll find that a whole wealth of time opens up before you to enjoy every moment of the tour. One of the unique aspects of a cruise experience is that when you wake up, the landscape around you is often entirely different to when you went to sleep. 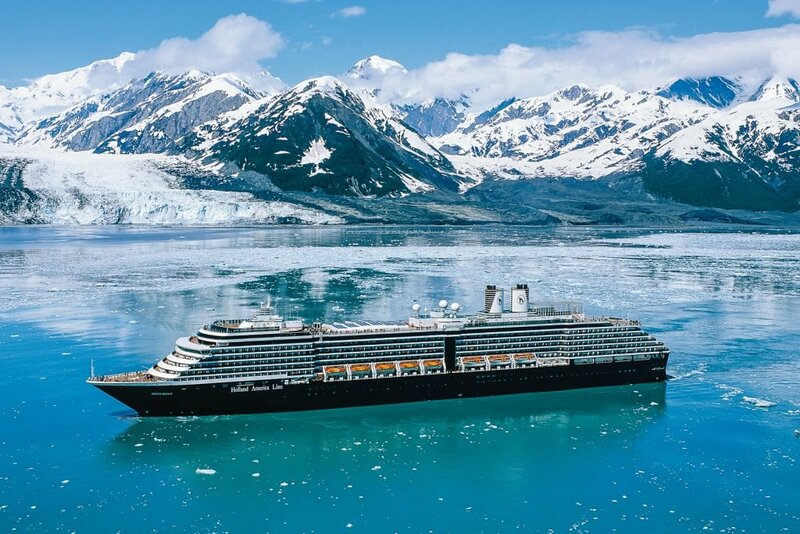 This Alaska cruise revolves around scenic landscapes and picturesque vistas of snow, ice and rock cascading together. The broad decks and viewing platforms across the cruise ship provide you with jaw-dropping panoramic views of your surroundings. The vessel also plays host to a number of other facilities. These include a gym, spa, casino, theatre, bars, restaurants and both indoor and outdoor swimming pool. There are 3 highly popular stops along the Inside Passage cruise route (See Alaska Cruise Route Map). The towns of Haines, Juneau and Ketchikan give you a chance to stretch your legs and explore Alaska from the ground. Since each stop takes place on a different day, you’ll be able to dedicate an entire day to the excursions that theses stop-overs provide. From relaxing lunches and historical tours to float plane flights and glacier trekking, there is no shortage of activities to enjoy. The cruise ship sails through the iceberg-strewn channel as the staggering mountain range looms over the coastline, the stark contrast of the soft white snow on jagged rock face creating an unforgettable image. The powerful tail fin of a whale breaks the water’s surface and comes crashing back down in a magnificent splash. The spray of water sparkles in the Spring sunlight as the whale disappears from sight beneath the jagged overhang of the glacier’s vast terminal face. Glacier Bay National Park covers an area of 13 287km and holds within its borders some of the USA’s most picturesque landscapes. While Glacier Bay Alaska may be the main attraction of this park, there is far more that it has to offer in the way of natural beauty. Spectacular expanses of snow spread out before you in this natural park, giving the impression that you are no longer in the USA, but rather in Antarctica. Glacier Bay Alaska is one of the country’s most stunning, yet inaccessible locations. One of the only two ways to see this area in all its splendour is to take this Vancouver to Alaska cruise, the other being a scenic flight over the bay. Glacier Bay Alaska was named a UNESCO world heritage site in 1979 and later, a Biosphere Reserve in 1986. The recognition of this site’s significance is well deserved, with as many as 11 glaciers in this bay alone. The highlight is an Alaska Cruise is the journey through Glacier Bay. Usually the last or first day of your cruise route depending on which route you take from Vancouver to Alaska cruise or Alaska to Seattle. 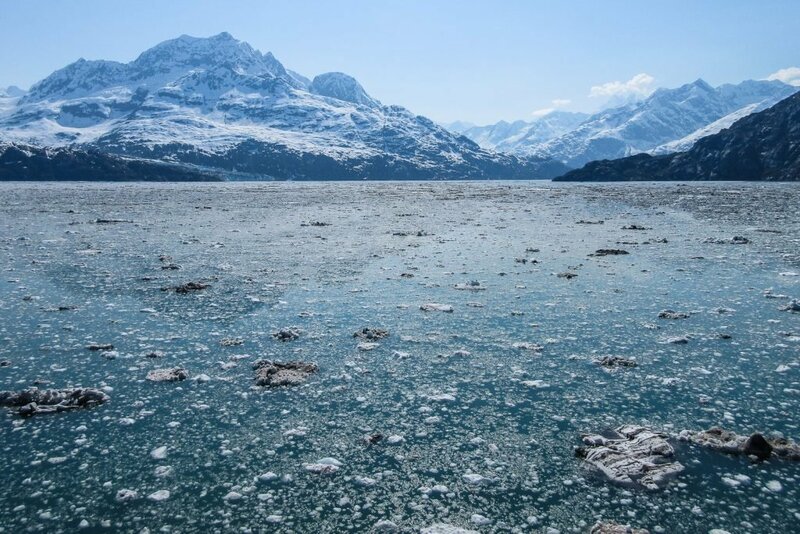 Upon arrival in Glacier Bay Alaska, you will be met with a series of stunning glaciers. These rivers of ice flow down the mountainside, carving through the rock and leaving a deep scar in its wake. The rock that is eaten away from the mountain forms a debris on the ice, creating these fascinating striped effects down the glaciers. Not only is this tour incredibly scenic, but it’s also informational. Each morning there are briefings held to discuss the upcoming sights of the day. During the cruise, Glacier Bay National Park service rangers will board the ship. Coming alongside the ship on a much smaller boat they climb up the side of the ship on a ladder. They will bring with them a wealth of knowledge and interesting facts that will help you to get a deeper understanding of your surroundings. They will not only provide you with the morning briefing, but they will also join you on the viewing platforms as the cruise ship sails past the awe-inspiring landscape. To add to the staggering beauty of Glacier Bay Alaska, there is an abundance of wildlife in and around these icy waters. With a number of species of fish, seals and majestic whales beneath the ship, these waters are thriving with marine life. You may even be lucky enough to watch a whale jump clean out of the water before crashing back down onto the debris-strewn surface. If you raise your sights a little higher and look across the bay to the foothills of the mountains, you could spot a grizzly lumber alongside the water’s edge. This unique view of water and land and all that they have to offer is an excellent indicator towards why the Inside Passage Cruise is the very best way to explore Alaska. There is no other tour that provides you with the immersive detail that you get on the cruise. Watching ice crumble treacherously into the water below after having seen a whale emerge from the depths in a magnificent and humbling display of strength is a truly unique experience. To enjoy all of this from the comfort of the yacht only makes the tour that much more desirable. The cruise ship slows as it makes a pass alongside Margerie glacier’s impressive terminal face. As the ship comes to a gentle stop people begin to gather on the deck, all trying to get a better view of this other-worldly wall of ice. The sun shines onto the glacier, illuminating the pure ice and producing a vibrant turquoise glow. A clap of white thunder shatters the silence and a chunk of ice plummets from the glacier’s face. At the deepest inland point of Glacier Bay, the Vancouver to Alaska cruise ship will come to rest beside the Margerie Glacier. 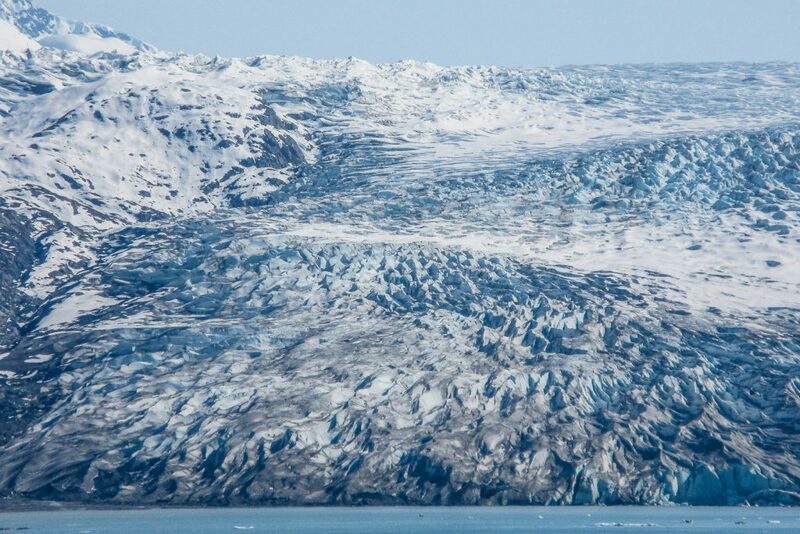 This is one of the bay’s largest and most impressive glaciers. The Margerie Glacier does not only provide the tour with a picturesque view of this incredible icy landscape but also a performance of sorts. As the ice flows slowly down the mountain it shifts and cracks, creating crevasses that riddle its surface. The sound of this cracking is called white thunder and is often followed by an impressive display of ice tumbling down to its watery grave. 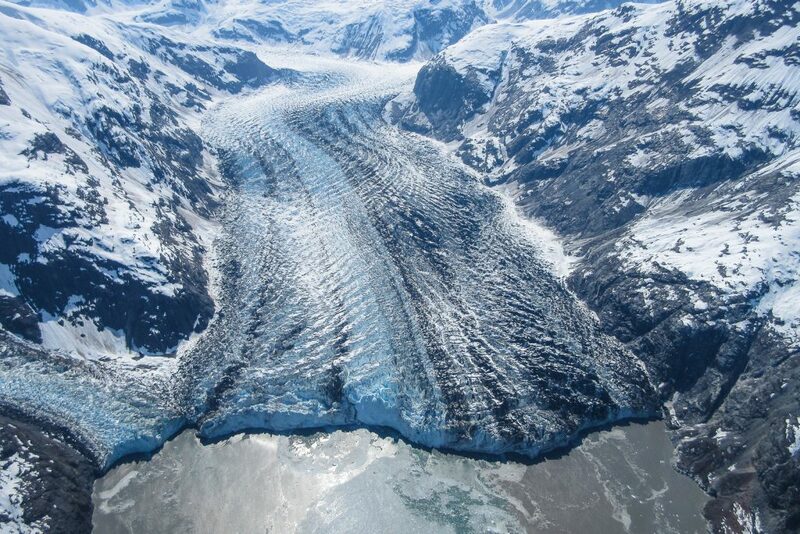 Glaciers are formed over hundreds of years. Layers of snow coat the mountainside, and with time these layers compact to form ice crystals. The more these ice crystals condense over time, the more they get rid of any oxygen and other impurities, leaving behind the vibrant turquoise colour of pure ice. During the Inside Passage cruise through Glacier Bay, you will have an excellent view of not only Margerie glacier’s face, but it’s birthplace high-up in the snow-capped mountain peaks. To stand before a glacier is something truly special. It’s not until you are this close that you’re able to truly appreciate the might of this river of ice. One thing that makes this experience so mind-blowing is to look up at the peaks of the mountains and back at the glacier’s face with the understanding that the ice and rock deposits that you see before you were at the top of those mountains several decades ago. They have made their arduous journey through the mountainside to come to this edge, and you have the profound experience of watching their journey end as chunks of ice crumble into the water below. The first of the 3 stops on the Vancouver to Alaska cruise is the charming town of Haines. Docking here in the early hours of the morning, most passengers are enjoying their delicious breakfast upon arrival in Haines. With a rustic, small town charm to it and a population of only 1800 people, Haines is an excellent place to stop and stretch your legs. Originally founded as a stopover town for prospectors during the gold rush, Haines has since grown to focus on tourism. This shows in the numerous activities on offer in this small town. You can choose excursions of hiking, rafting and fishing to scenic flights over the nearby glaciers. If you’d like to get your adrenaline pumping you can even enjoy a zip lining experience here. While Haines may be known as the adventure capital of Alaska, this does not mean you need to be adventurous during your visit. So if these activities seem a little too active, you can always join in on a guided tour through historical Haines. You will also have the chance to enjoy a scenic river cruise or a wildlife tour in and around Haine’s thriving countryside. 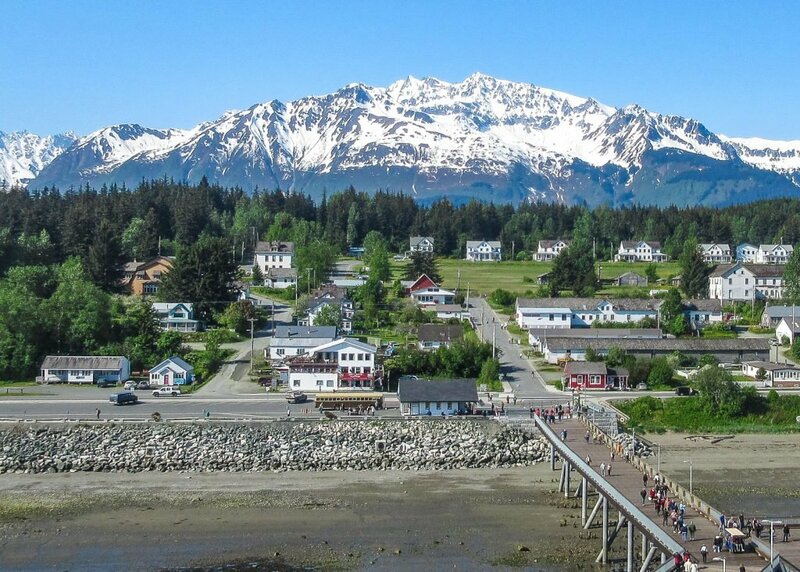 A visit to the town of Haines is another excellent way to view Glacier Bay Alaska. Having seen it from the ship, you are now granted the opportunity to look back out across the water. It’s always an interesting experience to look back at where you’ve come from and admire the surroundings from your new point of view. Your eyes widen in wonder as you gaze out the window, staring at the majestic glaciers from such an excellent point of view. As the plane soars through the sunny blue sky you struggle to tear your gaze from the exquisite world below you. 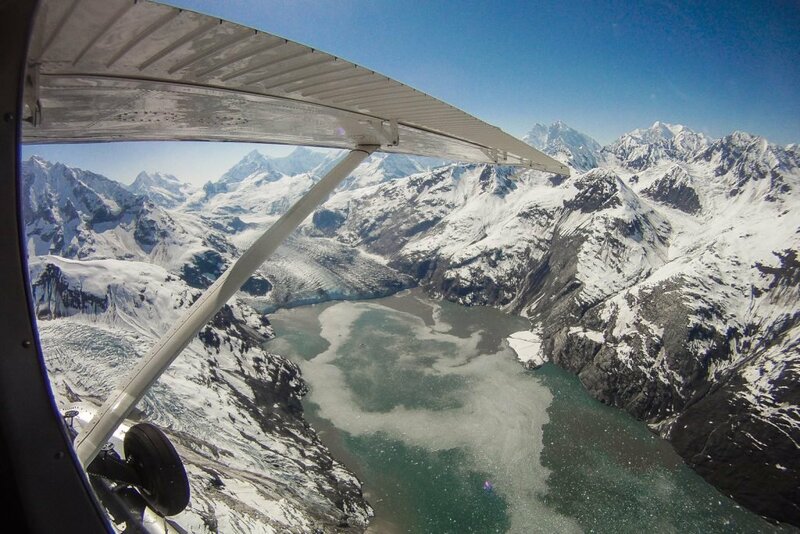 The fields of ice glitter in the sunlight as the pilot sets his sights on Glacier Bay Alaska. Reaching the bay you look down at the glaciers you had looked up at from the ship the day before, displaying a scale far greater than you had ever imagined. To see these glaciers from an aerial perspective gives you a far deeper understanding and appreciation of their vast splendour. To look down at the water and remember where the ship had been the day before, and to consider the difference in viewpoints is what makes this flight so worthwhile. As the pilot of the aircraft brings you up alongside the jagged ridges of the mountain you get a far clearer view of the little details. The surface of the glacier below you is riddled with cracks and crevasses. The closer you get, the deeper you can see into these crevasses. Turquoise blue pools of water can be spotted in several places across the glacier. These come from the ice that has melted due to the heat of the sun. 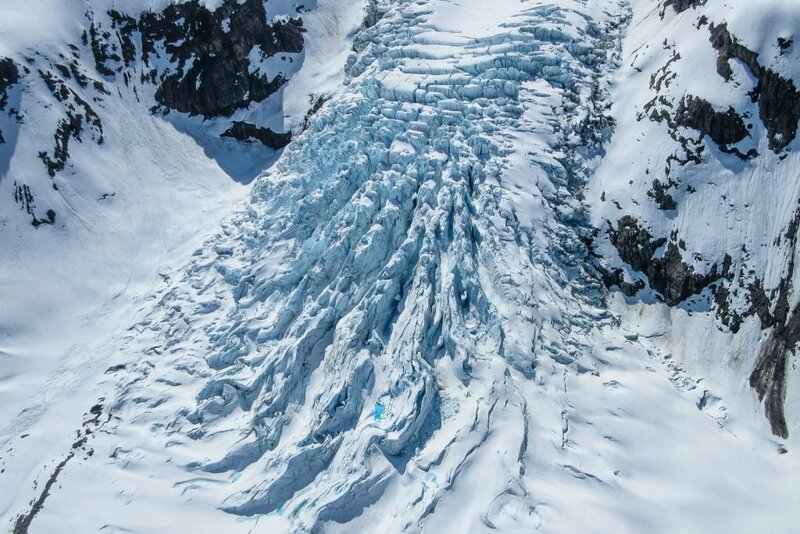 The rich detail in this ice gives each glacier a unique face as it flows down the snowy mountainside. 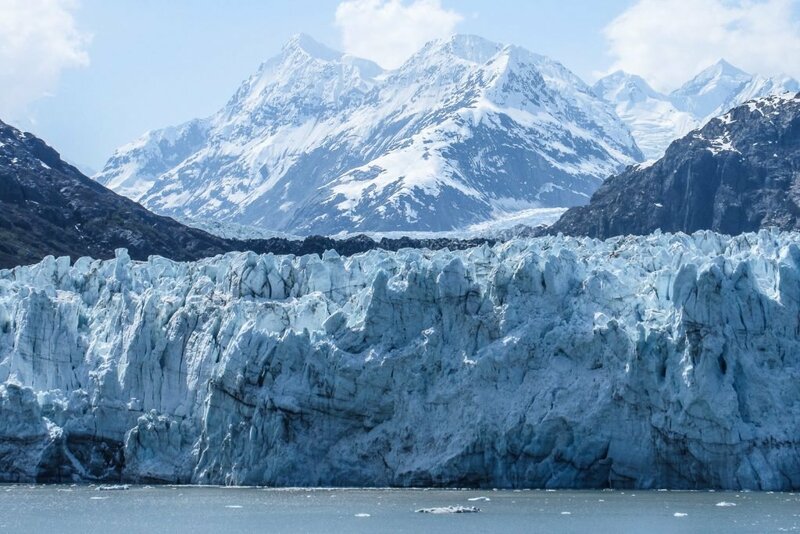 If you’d like to see more of these incredible glaciers from such an excellent point of view, be sure to read more about flying over Glacier Bay Alaska. You will also be provided with tips on how to arrange this flight and the general practicalities of this activity. The thrill of flight overwhelms your senses as the pounding of the helicopter blades above your head. You are overcome with a powerful sense of awe as you gaze out the panoramic windows of the helicopter cabin. The jagged rocks pierce through the veil of snow in a mesmerising display of the contrasting beauty of Alaska. The Juneau Icefield is just outside the town of Juneau, the next stop on the Vancouver to Alaska cruise. Juneau provides all visitors with a wealth of excursion choices. 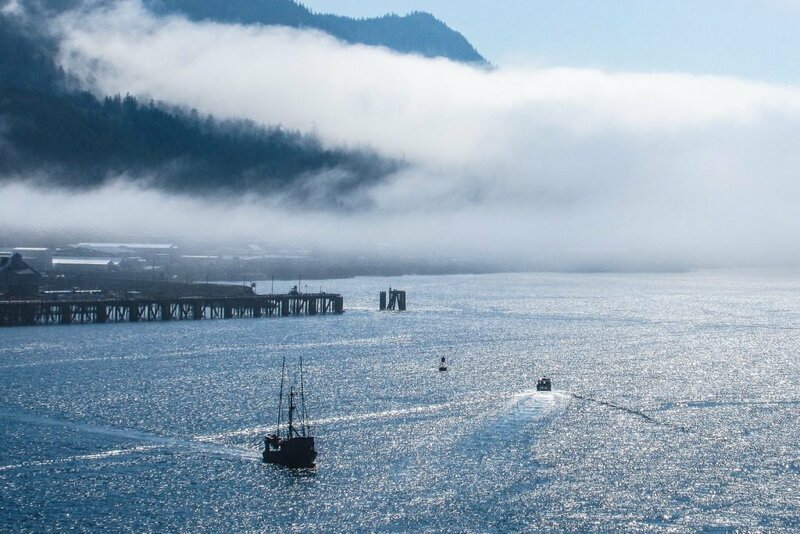 You can set your eyes on the ocean once again for a whale watching tour, go dog sledding, or simply enjoy an Alaskan salmon bake. 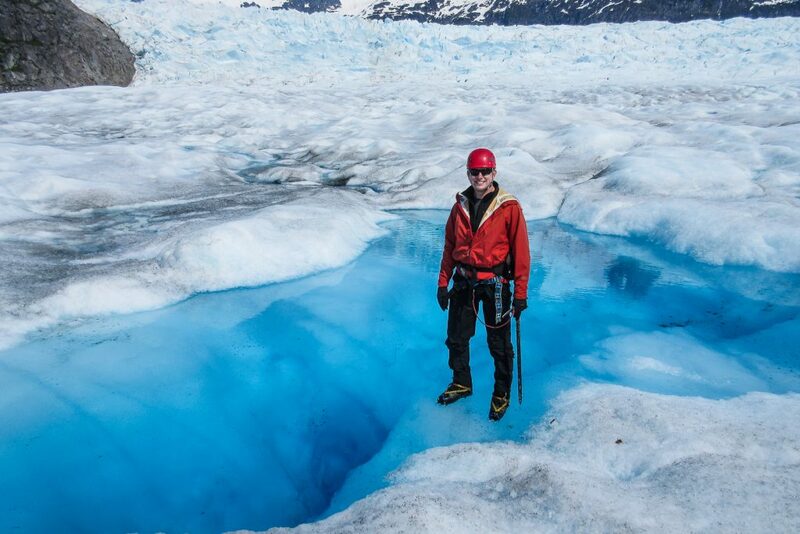 While the leisurely activities may seem alluring, there is one tour, in particular, that is sure to make this trip unforgettable: Ice Trekking on the Mendenhall Glacier. The snow is broken by mighty cathedrals of rock. The cliff face’s mottled grey surfaces standing out, stark against the white landscape. To view this kind of scenery from a helicopter is simply unparalleled. You get spectacular sweeping views of the mountains and valleys that no other tour could offer. 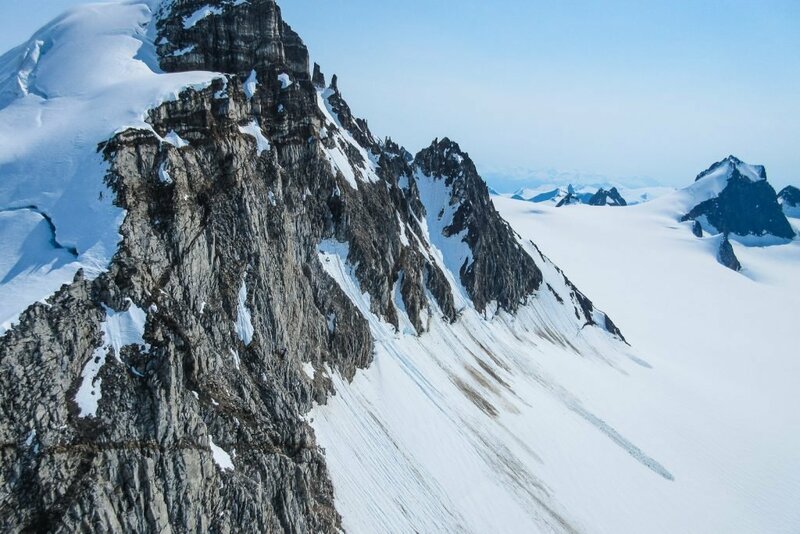 This is particularly significant for the Juneau Icefield because of its unique landscape and seemingly endless expanses of white snow. These impressive views once again give you the feeling that you’re not in the USA. The glittering white terrain that is spread out before you on this flight is so vast that it almost feels as if you’re on another planet entirely. You will lose yourself in the boundless fields of snow that surround you. Looking down at this earth from your vantage point in the aircraft, you will find that the sheer size of this landscape is humbling. 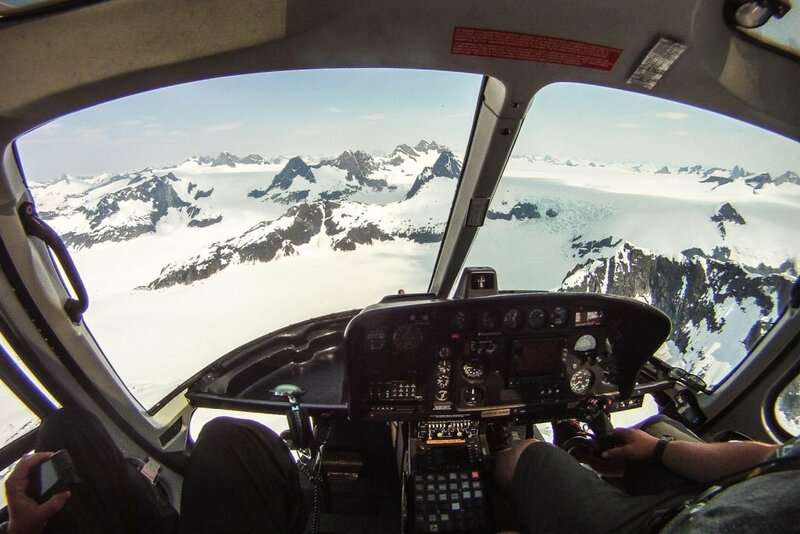 During your flight, you may look at the Juneau Icefield with wonder in your eyes. This, however, isn’t even the flight’s final destination, nor is it the highlight. 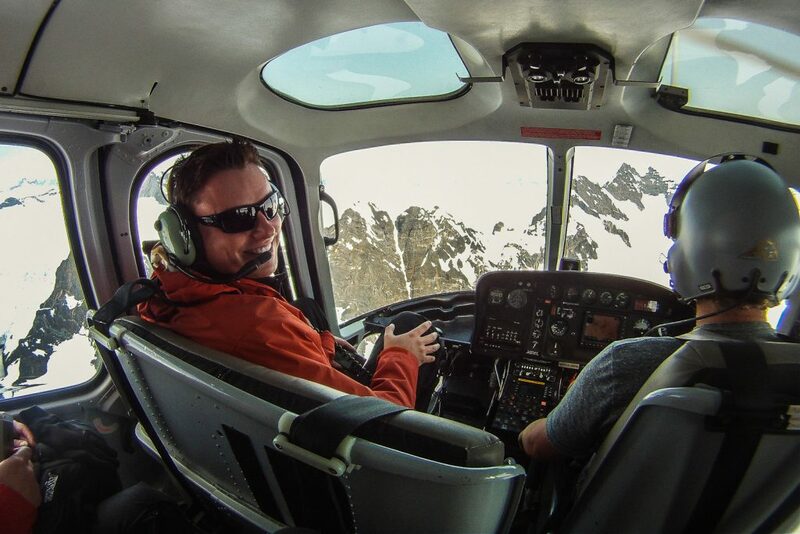 The true purpose of this helicopter flight is to allow you to plant your feet firmly on the Mendenhall Glacier. The ice crunches beneath your spiked crampon boots. Your hand grips an ice axe as you cautiously make your way across the surface of the glacier. Looking out across the landscape, you find yourself getting lost in the beauty of the white and turquoise terrain. White thunder roars beneath your feet and you feel a slight tremor in the glacier as you place your hand on the surface. The Mendenhall Glacier is 13.6 miles long, and one of the Inside Passage tour’s most impressive stops. 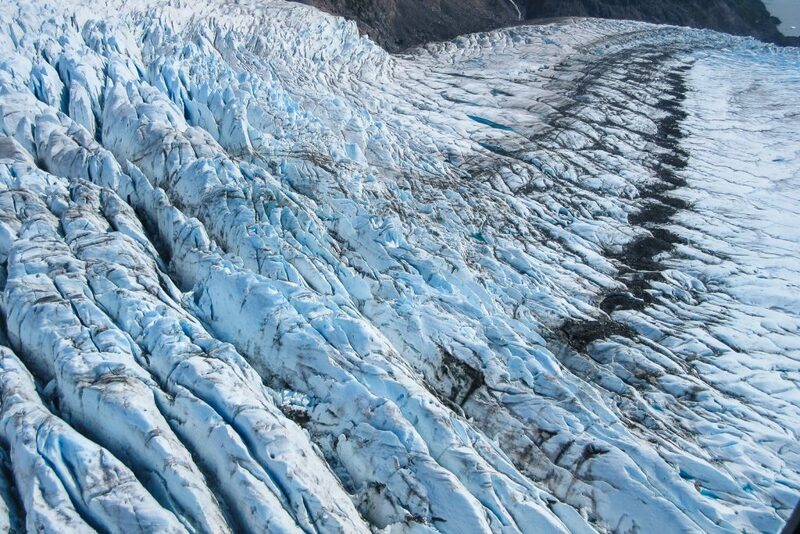 Flowing through the Juneau Icefield to the Mendenhall Lake, this glacier displays the true might of ice and rock. To book this flight and to explore this awe-inspiring glacier on foot is a truly incredible and unique experience. Standing on this vast, and immensely powerful river of ice can help to put a lot into perspective for you. One thing, in particular, stands out when you get this close to the staggering beauty of these glaciers. Climate change is constantly altering the surface of our earth, many of the glaciers that exist today could retreat up the slopes and disappear, leaving nothing behind but a scar on the landscape. It’s very important to remember that the cruise ship generally acts independently to the excursions within these towns. It is entirely up to you to manage your time during each stop because if you are running late, the ship simply won’t wait for you. The schedule is set in place and you should have a clear understanding of the times of arrival and departure before you set foot off the vessel. 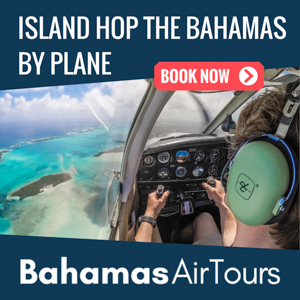 That being said, you’ll also have the chance to book all your excursions conveniently from the cruise ship for a significant increase in price. This will ensure that your time is well managed and the cruise ship takes responsibility for your punctual return. If you’d like to find out more about this phenomenal experience, don’t hesitate to click through to my article with beautiful photos of the Juneau Icefield and Mendenhall Glacier. You can enjoy a wealth of deeper explanations and details regarding these natural wonders. 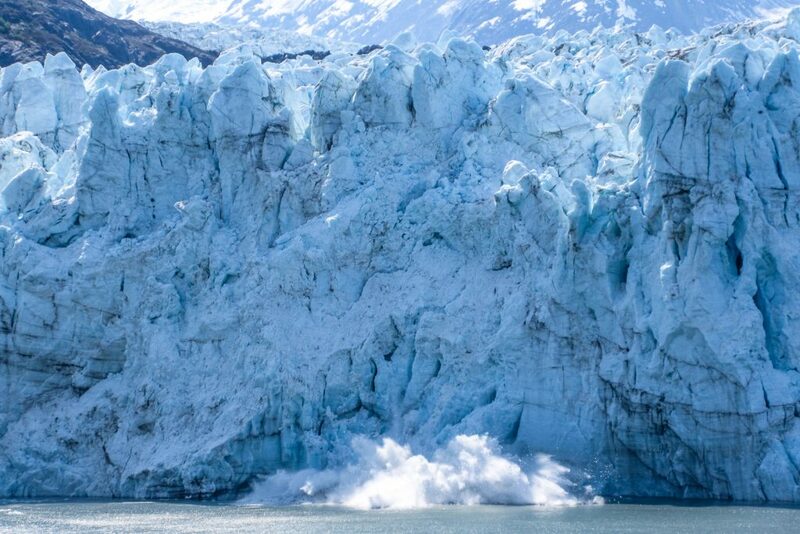 Read more about visitng the Juneau Icefield and Mendenhall Glacier. Ketchikan marks the third stop-over of the Inside Passage cruise. 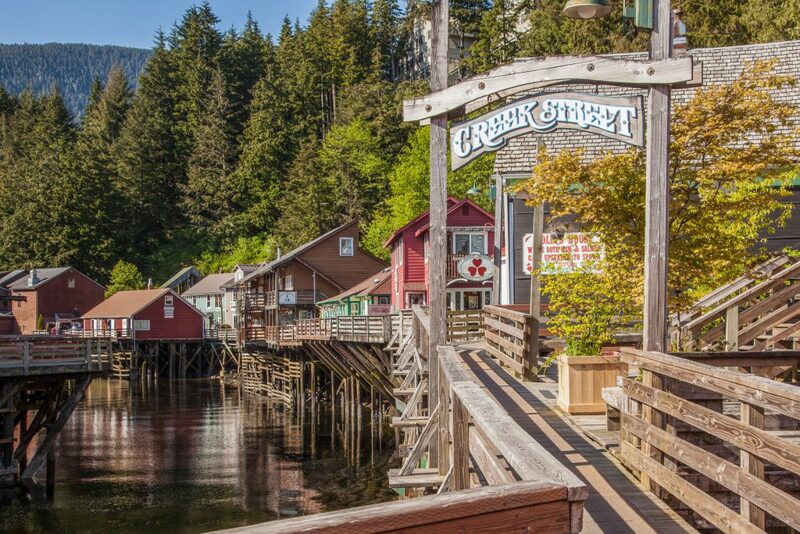 Alaska‘s southernmost city, Ketchikan serves as a gateway to this incredible state from the southern border. Thousands of people travel through Ketchikan every year to visit the fjords that make up this breathtaking scenery. But the city has a lot more to offer than just its surroundings. The Vancouver to Alaska cruise will give you a chance to stop off and explore Ketchikan’s rich, historical background. With a vibrant, native Alaskan culture and heritage, there is nowhere better to learn about this fascinating land. Visit Saxman Village to view their collection of 25 totem poles, and watch the master woodworkers create new ones right before your eyes. The Totem Heritage Village displays a number of 19th-century totem poles which have been retrieved from native village sites in the area. 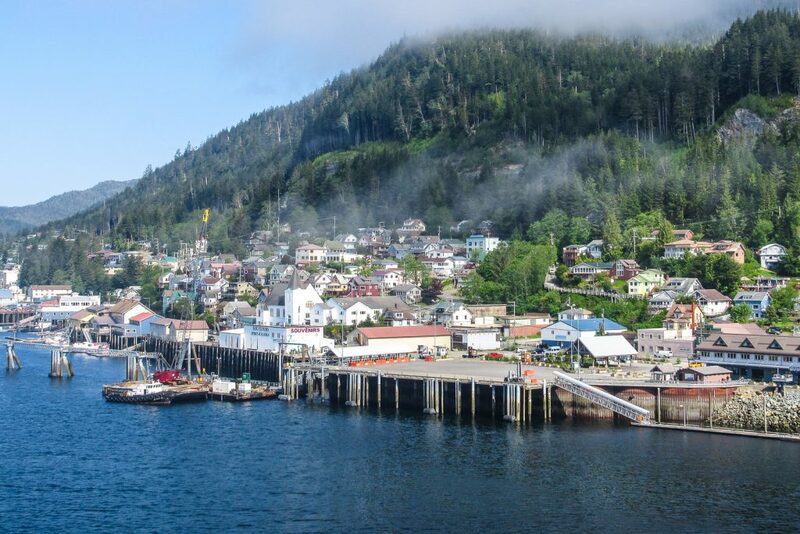 While the historical side of Ketchikan may be a thriving hub of knowledge and interesting facts, the town has plenty to offer in the way of outdoor activities. Just like the other towns of Haines and Juneau, you will have the chance to take part in a number of thrilling activities. These include zip-lining and float plane flights through the misty foothills. The Misty Fjords National Monument of Ketchikan inspires and impresses visitors each and every year. The extraordinary views of blankets of thick, white mist flowing over the hills and through the valleys seem almost otherworldly. To add to the alien theme of this landscape, the mist that hovers above the waters of the fjords sets a scene of unparalleled beauty. This incredible wilderness area boasts sheer, 900m cliffs that rise out of the ocean and a wealth of exciting wildlife. The lingering fog of the early morning coats the town with very interesting lighting. This allows for dramatic photographs of the landscape, particularly when rays of sun begin to break through the layer of mist. You can explore the surrounding misty fjords from above in a scenic float plane flight. Set off on the cruise ship one last time as you meander along Canada’s western coastline for the final stop in Vancouver. Having read through this comprehensive article giving you insight into the Inside Passage cruise, you must be aching to jump aboard right this moment. Before you do, be sure to book ahead to guarantee your spot on this world-class tour. There is absolutely no doubt that this cruise is the very best way to explore Alaska in all its glory. You will be able to sit back, relax and enjoy the scenery moving slowly past you as the Alaska cruise ship makes its way along this picturesque coastline. 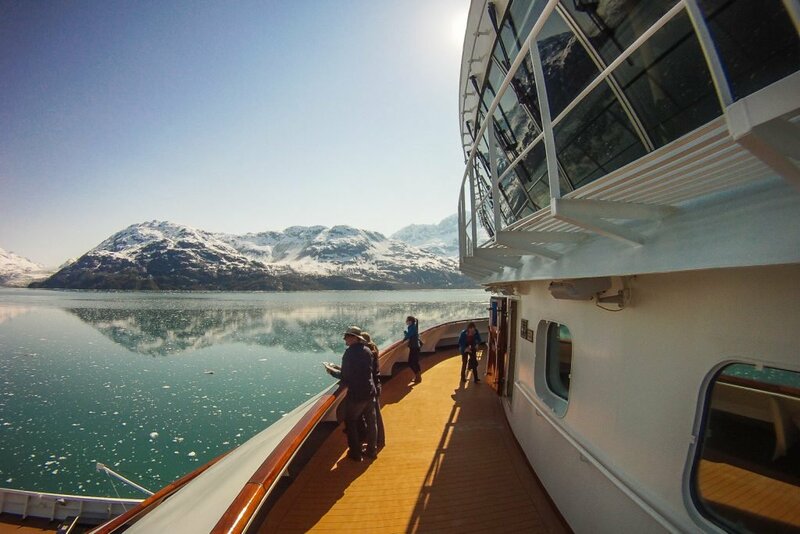 Without a doubt, an Inside Passage Cruise is the perfect way to explore Alaska. The comfort and convenience of the cruise ship are world-class. 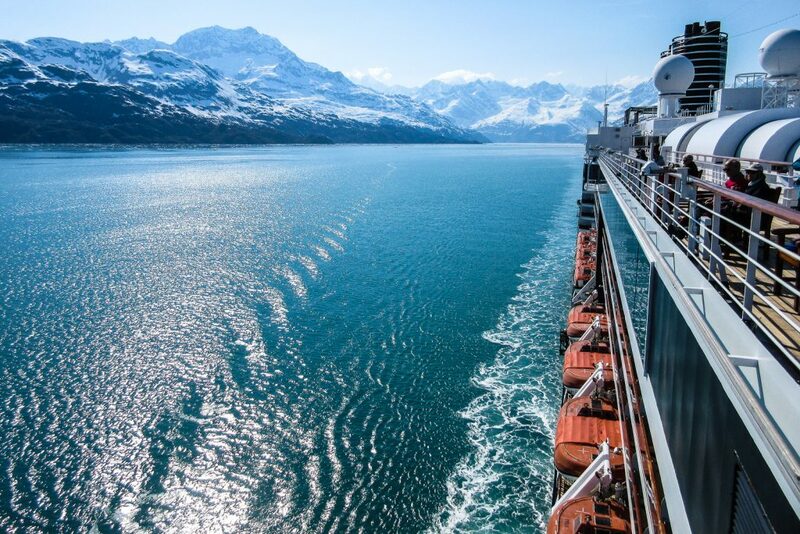 Joining this to the astounding beauty of the Alaskan landscape makes for an unforgettable experience. So if you would love to see the winter wonderland of Alaska, and have a relaxing holiday at the same time, the Inside Passage Cruise is assuredly for you! Read more Alaskan adventures in the United States destination Guide. Please leave a comment below if you have any questions about the Alaksa Cruise! Wow! Beautiful photos! I generally am not one for cruises but I can definitely see the difference and attraction to embark on this one. What a great experience! Thanks! I too was not keen on taking a cruise. But the Alaska Cruise certainly changed my perceptions and I had a great experience which is also good value for money. Thank you. Alaska is an incredible place to visit. I hope everyone can visit it someday! Yes you guys should get on planning Alaska! Now is the perfect time to visit – try and see if there are any last minute deals? Great Stuff! We just spent 4 weeks exploring Alaska and it was Amazing! So many adventures to list a few off the top of my head that we loved… Our new favorite city is Juneau Alaska. We did it all from Hiking, Glacier Ice Climbing, Ice Caving, Gold Panning, Heli-hiking, to Cruising. One huge one was wild bear viewing and camping in Lake Clark NP. It is a worlds top 100 travel adventure and an experience of a lifetime. Wow that sounds like you had a great trip David. Yes Juneau is certainly a highlight of that area of Alaska, with such great access to the Mendenhall Glacier. Wow! I’ve never been one for cruises, but this truly looks and sounds amazing! Yes, Nikki! This is why you should go on a cruise. 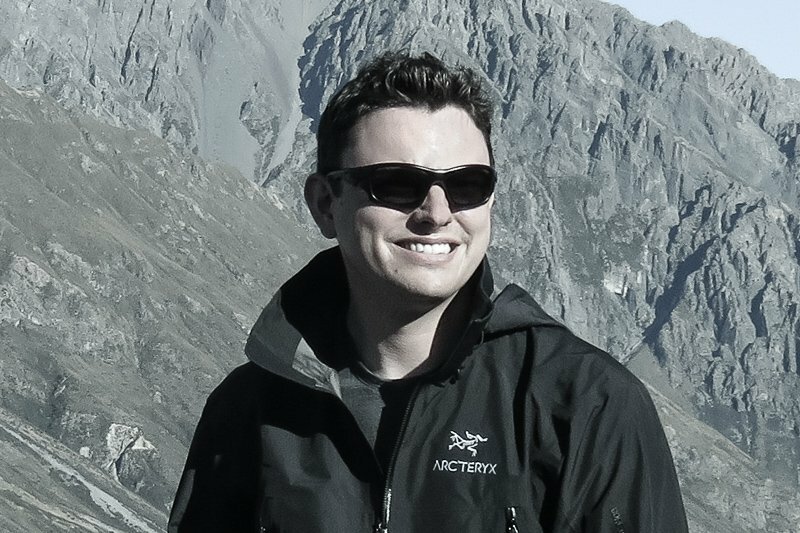 Not to be locked away in a ship for a week, but to be transported around some of the World’s most spectacular places, and embrace the opportunity to truly travel! Beautiful! You really did a tremendous job of showing the stunning nature one can view on a ship. I’ve only driven and been on the Alaska Marine Highway (Ferry), but not everyone can endure those kind of trips. I still remember my Grandma’s heartfelt stories, from her trip of a lifetime, cruising to AK! Thanks Kristen, I’m glad you enjoyed my article. I cant wait to go back to Alaska myself!